Home inspections are exciting and nerve-wracking at the same time. It’s exciting because after stressful weeks or months of searching for a home and negotiating a price, the finish line is in sight. It’s nerve-wracking because this is the day you find out the true condition of the home you’ve fallen in love with. Home inspections cost between $300 and $500 depending on the size of the house. Your Realtor will probably have recommendations, but it’s a good idea to investigate his or her recommendations on your own. In South Carolina, a home inspector has to have a license unless they are a licensed homebuilder, general contractor, engineer, or architect. Ask to see a copy of the license. Check out reviews on Angie’s List, Yelp, Google, or Facebook. Ask for a sample report to get an idea of how thorough they are. Reports that come with photos or videos are ideal. Charleston area homes have specific trouble zones that an inspector new to the area could easily overlook. Choose a seasoned local inspector. Read the inspector’s contract to find out how they limit their liability if they miss an important issue in their inspection. 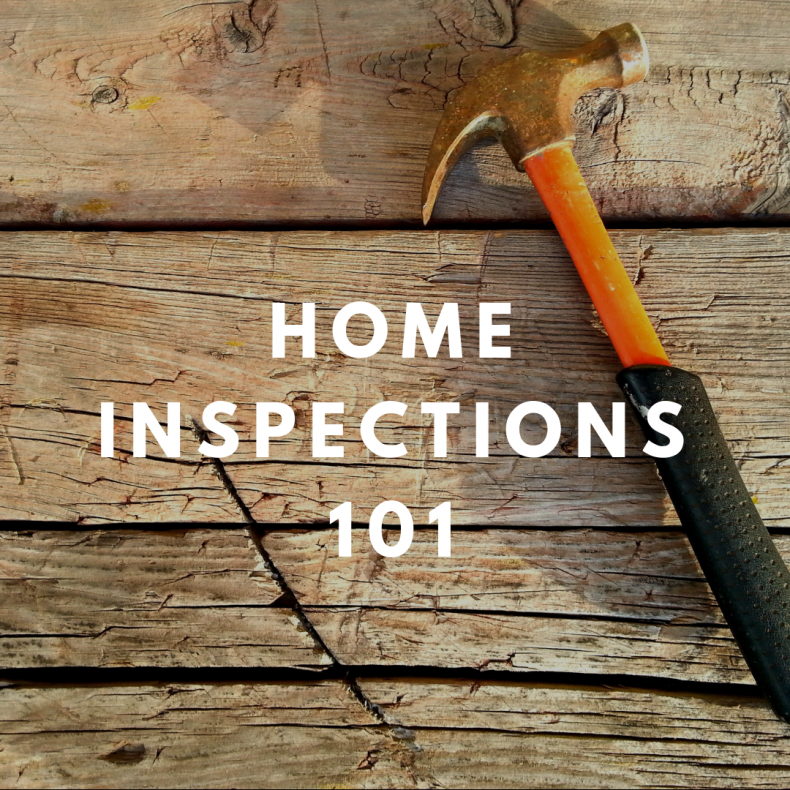 Home inspections take from two to four hours, and you should be present the entire time. Follow the inspector as he or she moves from room to room. You’re excused from entering crawlspaces or climbing on the roof, but ask the inspector to take photos so you can see these areas for yourself. If you plan to use this opportunity to measure for window coverings and furniture, do it after the inspection so you’re not distracted. Some inspectors write reports as they move through the home. In this case, you’ll have a report before they leave. Most will compile the report, and any relevant photos or videos and send them to you within two days. Real estate contracts specify how long the buyer has to complete the inspection and inform the seller of any problems, and it’s usually a tight timeline. Be sure you keep the process moving along. Your Realtor will help you determine if the inspection reveals any problems that the seller needs to address. You can ask sellers to fix issues before closing or reduce the price of the home appropriately. Maintaining objectivity is the hardest part of the home inspection process. If the inspector finds expensive problems and you can’t negotiate a mutually agreeable solution with the seller, you have a difficult decision to make. For example, if the inspector finds windows that need to be replaced, you’ll want to ask the seller to replace them or lower the price of the house accordingly. If they refuse, you can terminate the contract (provided you wrote your offer as contingent on results of the home inspection), and start the process all over again. Emotion and fatigue may make you consider just accepting the house as-is in order just to be done with the process. However, consider what a few thousand dollars of new windows mean to your budget. A hasty decision can have financial repercussions for months or years down the road. If you have agreed that the seller will fix issues before closing, walk through the house before you head to the real estate attorney’s office to sign the papers. It’s up to you to make sure the seller followed through with repairs to your satisfaction, so it’s worth the money to have your inspector to return with you. When you’re ready for an inspection, you’re in the home stretch of the buying process. Choose a seasoned home inspector, go through the house slowly and carefully with them, and stay objective about any problems or repairs you might find. If the seller agrees to make repairs before you see us for closing do a final walk-through to make sure they’ve been done – and done correctly. Donaldson Law Firm provides full-service real estate representation in Charleston, South Carolina. "Rob Donaldson is always cheerful, friendly, and takes the stress out of a real estate closing! His entire staff exudes professionalism with every transaction!" "My closings with Rob’s office have been flawless as his staff is experienced, responsive and extremely personable." "I have been using The Donaldson Law Firm for my clients closings for 15 years and they always exceed my expectations and handle everything very professionally." "Rob’s staff is always responsive and willing to go the extra mile on the client’s behalf. I highly recommend him." Located in Mt. Pleasant, South Carolina, the Donaldson Law Firm, LLC provides full service real estate representation in Charleston, Berkeley, and Dorchester counties. Specifically, we represent clients in residential real estate purchases, refinances, and home equity lines of credit. Our experienced attorneys and paralegals work together with lenders and real estate agents to ensure your home closing goes as smoothly as possible.